Remove from heat and add the condensed milk, stirring until smooth. Pie has become the new “it” thing in desserts. Where there used to be cupcake shops (chill, those still exist too) there are now pie shops. And with good reason because pie is awesome! So why not make pie into a jelly shot? 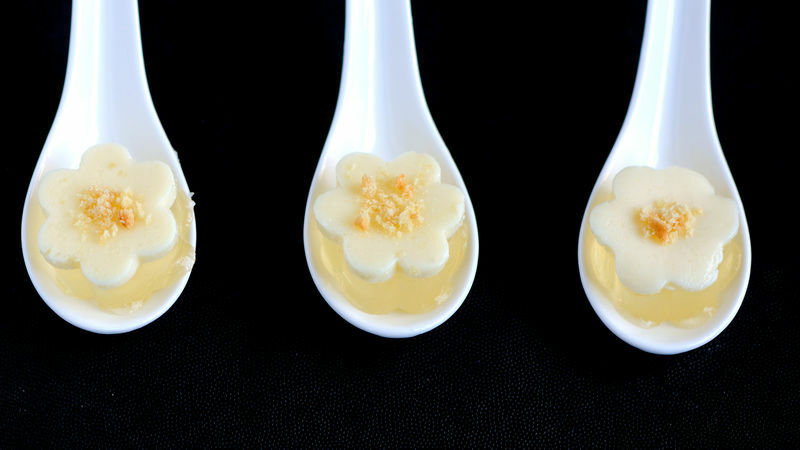 I needed a pie that said "spring"… enter Lemon Meringue Pie Jelly Shots. To make them even more spring-like, I made them into the shape of flowers. You might think that you want to leave out the shortbread cookie part, but trust me - it really helps make them taste like pie! To make the shots you really just have to know how to whisk, wait (while in fridge), and cookie cut! Prepare the lemon layer. In a medium saucepan, sprinkle gelatin over the lemonade concentrate and water. Allow the gelatin to soak for a minute or two. Heat over very low heat, stirring constantly, until gelatin is fully dissolved (about 5 minutes). Remove the heat. Add the liquors, stirring well to combine. Pour into pans or molds. Chill until set, at least one hour. Prepare the cream layer. Pour water into saucepan and sprinkle with gelatin. Allow the gelatin to soak for a minute or two. Add the vodka. Remove from heat and add the evaporated condensed milk, stirring until smooth and gelatin is fully dissolved (about 2 to 3 minutes). Using a cookie cutter of your choice (I used a flower) cut them into shapes. Top with shortbread cookie crumbs or dip the jelly shot into the crumbs.